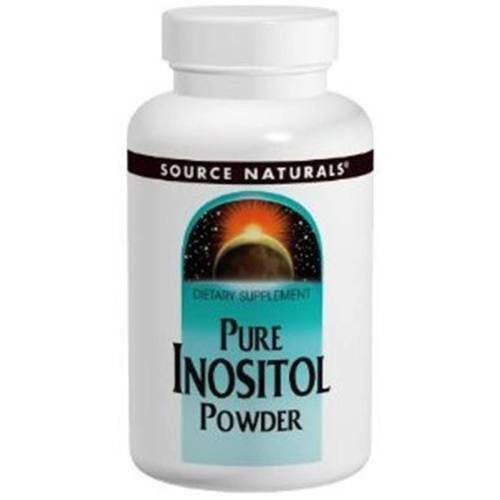 Source Naturals Inositol Powder is a limited ingredient supplement. Advertências: Keep out of reach of children. If you are pregnant, may become pregnant, or breastfeeding, consult your health care professional before using this product. Do not take more than recommended dosage. Consult your healthcare provider before consuming this or any other dietary supplement. Notas: Free of Yeast, Dairy, Egg, Gluten, Corn, Soy, Wheat, Sugar, Starch, Preservatives, or Artificial Color, Flavor or Fragrance. 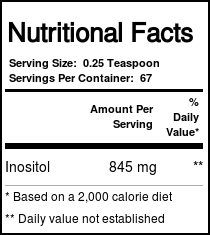 Recomendações de uso: 1/8 to 1/4 teaspoon per day, between meals or at bedtime.